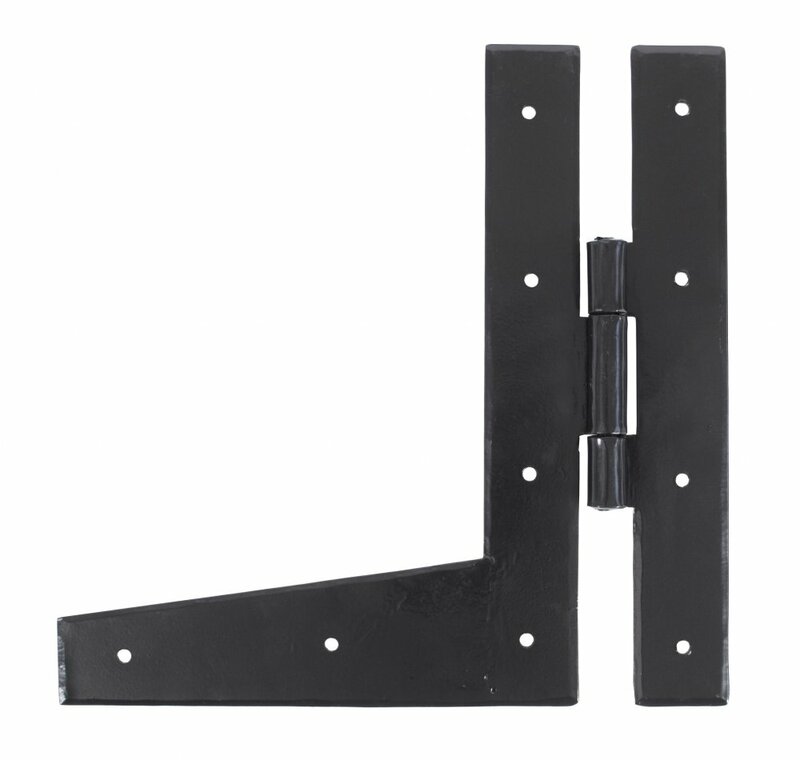 They are similar to H-hinges but with one strap shaped like the letter L and can be used where a door is maybe a bit heavier or has undergone repair. Sold in pairs and supplied with necessary fixing screws. 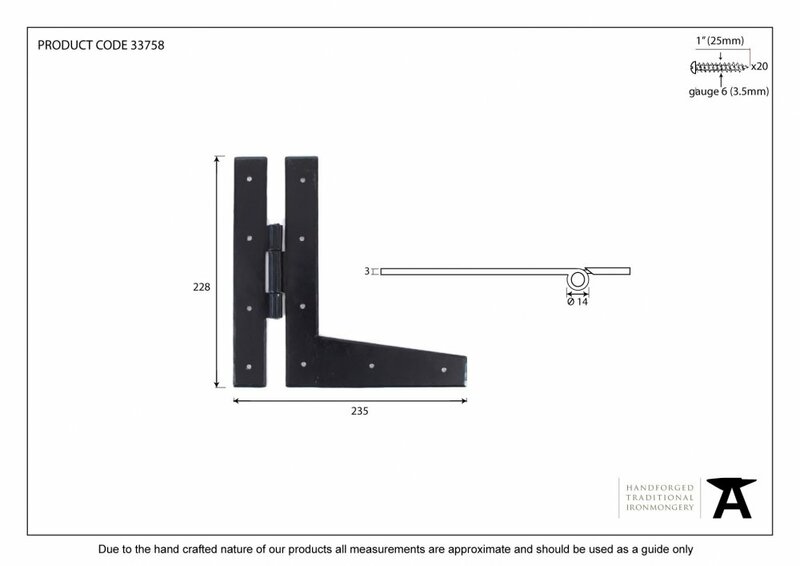 These hinges are a larger version of our 7" HL hinge and will support the heavier framed and panelled door.